An artist's impression of the UAE pavilion at the Expo. Small and medium enterprises (SMEs) received more than 50 per cent of the awarded Expo 2020 Dubai contracts so far, according to a report. The latest Expo 2020 Dubai report, prepared by The Big 5 Dubai, reveals that more than 15,000 businesses have registered their interest on Expo 2020 Dubai’s online procurement portal, and that $3 billion in contracts are expected in 47 awards over 2017. Around 70 per cent of the firms registered as suppliers are SMEs and as of June this year they had won more than 50 per cent of the contracts awarded. This preference is energised by the 2016 UAE Ministry of Economy announcement that SMEs engaged in the project will receive up to 20 per cent of total direct and indirect spending, an estimated $1.36 billion in contracts, the report said. Future opportunities related to Expo 2020 include crucial construction logistics packages that are to be awarded in January 2018, including those for a delivery management system, a waste management contractor and temporary utilities installations. The final portion of packages, which are also scheduled to be awarded next year, is the horizontal/infrastructure/site-wide/construction Packages. These packages include elements for the public realm spaces such as landscaping and vertical transportation. Set on a 438-hectare site, Expo 2020 Dubai will open to the public on October 20, 2020. Construction on the site is expected to be completed a year earlier, by October 2019. Of all the built assets, 80 per cent will be reused after the event. ‘Connecting minds, Creating the Future’ is the theme of Dubai Expo 2020, underpinned by the three sub-themes of Opportunity, Mobility and Sustainability. Fulfilling the latter focus, Expo 2020 will draw at least 50 per cent of power from renewable energy sources, including the Mohammed bin Rashid Al Maktoum Solar Park, and will receive support from official sustainability partner Dubai Electricity and Water Authority. 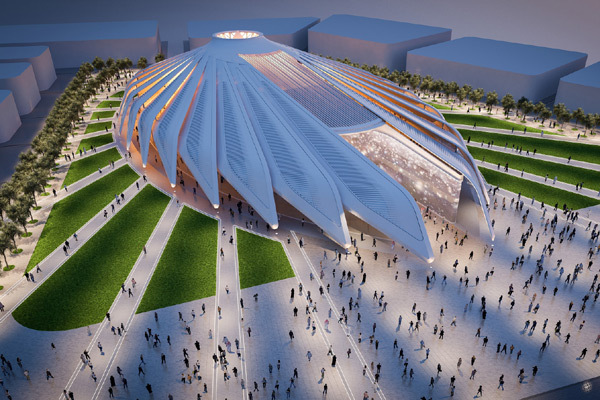 Organisers of Expo 2020 Dubai are committed to complying with local green building regulations and contributing to Leed (Leadership in Energy and Environmental Design) accreditation, as well as driving compliance with ISO 20121:2012, which specifies requirements for an event sustainability management system. Their ability to support organisers' sustainability standards saw UAE contractor Al Futtaim Carillion secure the main construction contract for the development of the Theme Districts. It beat 35 other bidders to secure the contract worth about $600 million, said the report. “The link between renewable energy, sustainable measures and the construction sector is connectivity,” observed portfolio director of The Big 5 Dubai, Josine Heijmans. Discussing the impact of Expo 2020 Dubai themes on the industry, she said the adoption of new building technologies is vital in moving forward. The Expo 2020 Dubai report is released ahead of The Big 5 Dubai, which will run from November 26 to 29 at the Dubai World Trade Centre. The largest construction event in the Middle East, it will showcase the most innovative solutions for the built environment from around the world. It will feature the Excellence in Construction Summit where vice president of real estate for Expo 2020 Dubai Ahmed Al Khatib will be a VIP speaker. Al Khatib is responsible for the delivery and management of the expo site masterplan and is involved in managing the sustainability of the site. As well as an all-new HVAC (heating, ventilation and air-conditioning)-dedicated hall, and the Innovation in Precast Summit, there will be live products demonstrations, and the return of the industry’s most respected 10th edition of the Gaia Awards which are committed to escalating sustainable interests in the construction sector. The Big 5 Dubai 2017 will be co-located with The Big 5 Solar event, under the patronage of the Ministry of Energy. Featuring technologies from leading photovoltaics (PV) manufacturing countries, The Big 5 Solar is set to become the premier event for solar industry professionals. Additionally, the event will offer a broad educational agenda with world-class knowledge-sharing CPD (Continued Professional Development) certified talks covering featured themes including technology, architecture, sustainability and project management.